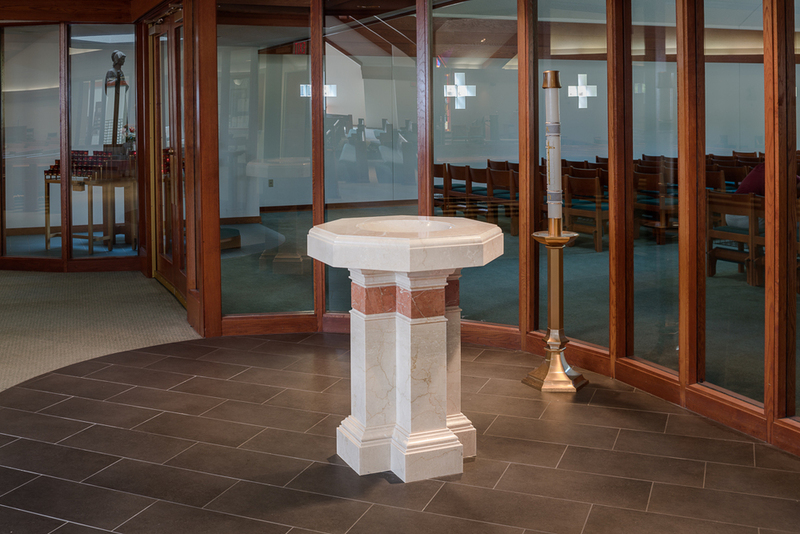 We are very grateful for the opportunity to have served Most Reverend Paul S. Loverde, former Bishop of the Catholic Diocese of Arlington, Pastor Reverend David Meng, and the people of the St. Elizabeth Ann Seton Catholic Church on this transformative renovation of the church sanctuary. 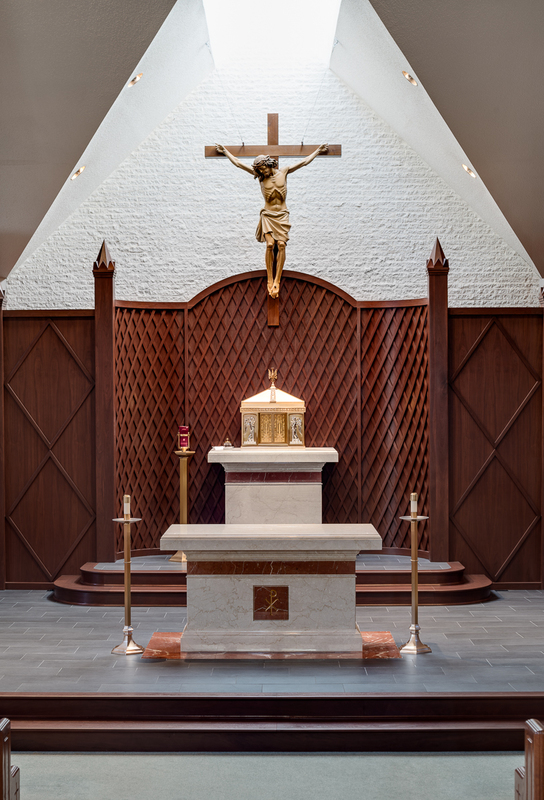 This church renovation in Virginia is anchored by the addition of new liturgical furnishings designed by the firm, including Altar, Ambo, Tabernacle pedestal, and Font, rendered in Botticino Classico and Rojo Alicante marbles. The setting for these elements is formed by a new sanctuary platform created with American black walnut treads and risers, and porcelain tile flooring accented with Rojo Alicante. Walnut is also used to construct the screen that serves as the backdrop. Our architecture firm in Virginia looks forward to working with you on your next church renovation project. Contact O’Brien and Keane today for more information.